Hier das Modell als RTX Forged II Wedge in satin, RH. RTX F- Forged aus dem Hause Cleveland Golf zu einem sensationellen Sonderpreis an. Es handelt sich um ein geschmiedetes Cavity Back Wedge, mit eingebauter Fehlerverzeihung, breiterer Sohle und einem Nippon Steel Schaft, aus dem Hause Cleveland Golf. 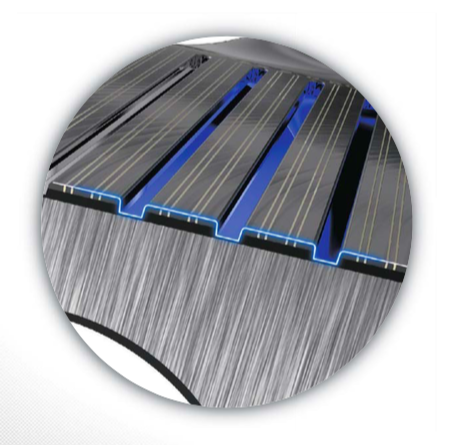 The wider sole prevents digging at and after impact. 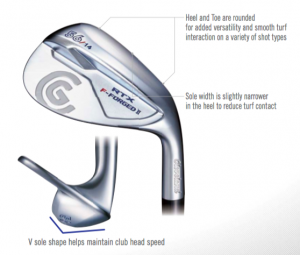 In addition, the V sole helps maintain club head speed through impact to tighten shot dispersion and give you maximum control. Wider sole prevents excess digging into the sand. 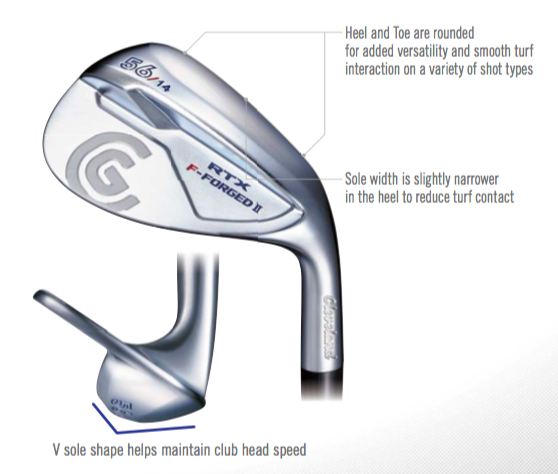 In addition, the V sole helps maintain club head speed through impact making it easier to get out of the bunker. “Tour Zip Grooves” and “Rotex micro milling” combine to maximize spin with added consistency from the fairway and rough. A deeper, narrower groove maximizes spin consistency and control from the fairway and rough. The combination of 2-pass micro milling and laser milling fine-tunes the roughness for maximum friction and spin around the greens. Cleveland Golf steht für Wedge Innovation und neueste Schlagflächentechnologie und Meister seines Fachs.